TeachersFirst's Special Topics collections help you find just what you and your students need, just in time for an upcoming unit, a holiday, focused research, student-directed exploration, or projects on a curriculum topic or event. You can be comfortable sharing the Special Topic links with students or parents, knowing that TeachersFirst’s Thinking Teachers have selected and reviewed each resource. Find classroom and project suggestions within each review, use the collection to find just what you need for your lessons. Some teachers assign these lists as the core resources for a broader student assignment. Editor’s Choice collections offer "the best of the best" for topics of particular interest. TeachersFirst also offers collections on professional special topics to help you meet particular teaching challenges. This collection of reviewed resources from TeachersFirst is selected to help teachers and students learn about coding, and for use as a guide for finding the appropriate tools for use with all grade and skill levels. Nurture problem solving, logic, and creativity. Find resources for just one hour of code or for use as ongoing technology lessons. Explore these resources for use with after-school computer clubs or as an excellent tool when recruiting skilled parent volunteers. Turn the intimidating content of computer programming into an exciting learning adventure for all with these helpful sites! Explore this editor's choice collection of resources related to earth science. This is a perfect list to share during Earth Science Week in October, or anytime throughout the year. Read the descriptions to find out whether a site sounds right for what you want to know. Don't miss the "In the classroom" ideas for specific projects or ideas for before, during, and after reading. There is also an additional link to all of TeachersFirst's resources tagged Earth. This collection includes resources for all grades. Each review includes several classroom use ideas. These are excellent tools to use to study for the big test! Save (or bookmark) this list for students to use to review. Explore the activities suggested. Mix up your classroom and get blended! If you are new to blended learning, this basically means that the learning is a combination of digital media with traditional classroom teaching. Since some of the instruction is digital, students have more control over the pace of the instruction. Peruse this curated list of resources to start blending in your class! Explore this fabulous collection to use in your blended classroom. Learn more about blended learning in some of the informational readings. This curated list of resources provides free image tools. As educators, it is important for us to set good examples of digital citizenship. Image usage is a perfect time to discuss the important topics of copyright, Creative Commons, and more. Use your discussions related to copyright and Creative Commons to fuel the discussion about digital citizenship. Read the classroom use suggestions for additional ideas about how to implement these tools in your classroom. Use these tools to help students to understand digital citizenship, copyright, Creative Commons, and more. Find tools for students to use to locate "safe" images to use for projects and even within your own lessons. This curated list of resources will help you to maximize the social learning opportunities within your K-12 classroom. Engage students in collaborative learning experiences as they create, reflect, and demonstrate knowledge in a social context. Several basic components to social learning are observation, imitation, and modeling-- build these into your lessons as you use these tools. Share sites with the entire class or find specific tools that are useful for individual students in your class. Bring social learning into your classroom. Share this list on your class website for students to access both in and out of the classroom. This collection of reviewed resources includes tools for creating graphic organizers and many suggestions for ways to use them in teaching almost any subject or grade. Be sure to read the "In the Classroom" suggestions for examples of ways to use graphic organizers as part of a lesson or unit. Whether you call them concept maps, mind maps, KWLs, or graphic organizers, these visual diagrams show relationships between concepts and provide a powerful tool for learning and connecting new ideas. Use graphic organizers to help your visual learners build reading comprehension. Find something for all grade levels in this collection. This collection of reviewed tools and resources from TeachersFirst promotes vocabulary development and skills for students to improve and master daily vocabulary, subject matter terms, speech/language vocabulary, and ESL/ELL language. Browse this collection when you have students who seem to need extra vocabulary reinforcement or choose one or two tools to use repeatedly each time you introduce new terms. Share specific links or the entire collection for students to find "what works" to help them master vocabulary before the test. Mark this collection in your favorites to have differentiation strategies at your fingertips. Peruse this collection of ideas and reviewed resources selected to help both substitute teachers and regular teachers leaving instructions for a substitute. The list includes useful time-fillers for when plans are not a perfect fit as well as teacher-friendly suggestions to make subbing a positive learning experience for all. Whether you are a substitute looking for some "filler" ideas or a classroom teacher looking for new sites, check out this list of resources. 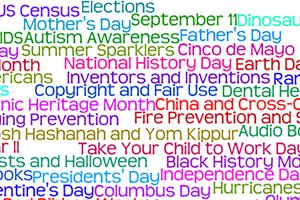 Share this list on your class website for families to use at home. This list includes resources for young readers and secondary students. This curated list of reviewed resources includes teaching ideas and sites to promote proven reading strategies of effective readers. Find engaging texts to use as your class focuses on a particular strategy as well as professional resources to improve your own understanding of this research-based approach to building literacy skills. Don't miss "In the classroom" ideas for specific projects or ideas for before, during, and after reading. Find new tools and reading strategies to share with your students. Share this list on your class website for families to use at home. This list includes resources for young readers and secondary students. This collection from TeachersFirst features resources to help teachers mentor students. Find tools to use with all grade levels. Here you will find tools to help students prepare for college or a future career, anti-violence tools, ways to empower girls, character building, and more. Use these tools to coach, lead, teach, and mentor in your classroom and beyond. Share sites with the entire class or find specific tools that are useful for individual students in your class. This is a great list to share with parents at the beginning of the year, and list on your class website! Explore this editor's choice list of resources related to the weather. Read the descriptions to find out whether a site sounds right for what you want to know. Some sites may be more challenging reading, while others may offer solid basic information. There is also an additional link to all of TeachersFirst's resources tagged weather (over 200 additional resources to explore)! If you can't find your ideal resource on the editor's choice page, check out the tagged resources list. Share the interactives on your projector. Use the content sites for deepening understanding prior to a test. Share this link on your class website for students to use both in and out of the classroom. Uncover resources related to ecology. This curated list of resources will help you research information and deepen your understanding. Read the descriptions to find out whether a site sounds right for what you want to know. Some sites may be more challenging reading, while others may offer solid basic information. Be sure to try several sources. If you cannot find what you need here, you may want to try searching on TeachersFirst for specific keywords. Each review in this collection includes several classroom use ideas. Be sure to view the full review to see the classroom use ideas. These are excellent tools to use to study for the big test! Save (or bookmark) this list for students to use to review. Find engaging tools related to the universe and space in this curated list. Read the descriptions to find out whether a site sounds right for what you want to know. There are some sites specifically for elementary grades, although most are for secondary. Read through the content sites and find lesson ideas and interactives. If you want to explore even more information, peruse the additional tagged list of resources related to space. If you are teaching about the universe and space, be sure to bookmark (or save) this collection. There are resources here for all grades, plus many extra tools on the tagged list. Share sites on your interactive whiteboard or projector. Provide the link on your class website for students to access both in and out of class. This curated list of resources will help you research information about moon phases and the seasons. Read the descriptions to find out whether a site sounds right for what you want to know. Some sites may be more challenging reading, while others may offer solid basic information. Be sure to try several sources. Explore the lesson ideas, interactives, and content sites. If you are looking for even MORE resources, check out the links to the tagged resources for seasons and moon. Find resources for all grades with great ideas in each review! Share these sites on your interactive whiteboard or have students explore on individual devices. Use these tools for review before the test or for research options. Share the link to this page on your class website. This collection of resources will help you research information about human body systems. Read the descriptions to find out whether a site sounds right for what you want to know. Some sites may be more challenging reading, while others may offer solid basic information. Be sure to try several sources. If you cannot find what you need here, you may want to try searching on TeachersFirst for specific keywords. This list also includes links to even more resources that are tagged human body and body systems. If you can't find an ideal tool on our list, search these additional provided topics. There are several device agnostic sites (available as both an app and on a web browser). These are ideal for the byod classroom. Uncover resources related to evolution. Introduce your class to Darwin. Read the descriptions to find out whether a site sounds right for what you want to know. Some sites may be more challenging reading, while others may offer solid basic information. Be sure to try several sources. We have included a mix of interactives, lesson ideas, content, and more. List these tools on your website for students to use for review and preparation for a test. Share the interactive sites on your projector with the class. Have students work in cooperative learning groups and investigate the sites. Find engaging tools related to genetics in this curated list. Read the descriptions to find out whether a site sounds right for what you want to know. Some sites may be more challenging reading, while others may offer solid basic information. Be sure to try several sources. Some resources offer lesson plans or activities, while others are basic content sites. List these tools on your website for students to use for review and preparation for a test. Share the interactive sites on your projector with the class. A few of these are device agnostic and available as both an app and on the web. Navigate this collection of resources to find information about energy, force, and motion. Read the descriptions to find out whether a site sounds right for what you want to know. Some sites may be more challenging reading, while others may offer solid basic information. Some of the sites also provide interactives or lesson plans/activities. Find energy, force, and motion resources for all grades. Activity and lesson ideas are included with each review. Teach your students about the earth and rock cycle with this collection of resources. There are sites here for all grades. Read the descriptions to find out whether a site sounds right for what you want to know. Some sites may be more challenging reading, while others may offer solid basic information. Don't miss the interactives! This collection includes resources for all grades. Find appropriate activities for your class. Explore the lessons suggested. Find ideas in each review. This collection of science resources will help you research information about chemical reactions. Read the descriptions to find out whether a site sounds right for what you want to know. Some sites may be more challenging reading, while others may offer solid basic information. Be sure to try several sources. Use these tools and resources in a chemistry class or during a unit related to chemical reactions. Share the interactive sites on your projector with the class. List these tools on your website for students to use for review and preparation for a test. Read ideas for classroom integration in each resource's classroom use section.